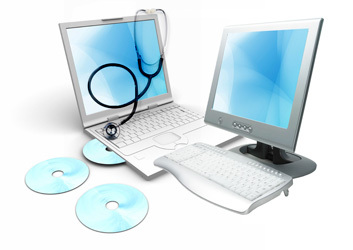 The tools necessary for free computer maintenance are already on your computer, which makes the entire process free of charge. Here are a few of the steps to perform a free computer tune up and never pay for expensive tune up programs again. Performing regular system updates will ensure that you have the latest security patches and the best drivers for your hardware. Failing to have the latest updates leaves your computer vulnerable to security breaches. Turn on automatic system updates in Windows to have a free computer tune up every time there are updates available. A computer’s hardware is a vital factor that determines how fast or slow it can perform certain actions. A very large computer speed boost will come from upgrading its hardware. This might not be a free method, however it will most certainly boost your computers speed. To determine the hardware that will speed up your computer the most use a performance check. Click “Start” and enter “Performance” into the search box. The lowest number is the hardware you should consider upgrading for the largest speed boost. Use the Action Center for indications that you need to perform a PC tune up. The Action Center is always running even if you do not see it. It will inform you when there is a problem or issue that is compromising or slowing down your computer. Use a spare USB memory drive to increase your computers available RAM. This alone is a great way to perform a free computer tune up. With ReadyBoost, your computer will utilize the spare memory on a USB memory drive to perform every day functions such as web browsing and editing photos. Before using ReadyBoost you must make sure that the USB memory drive has at least 1 GB of space on it. Another great free PC tune up is to closely monitor what your CPU is spending its resources doing. A slow computer might just be the symptom of a large program running in the background, which is easily solvable. Open the task manager and click on the “Processes” tab. This shows the allocation of processing power between the different programs your CPU is running. If there is a program that is hogging your CPU power, end it. Ensure that you have saved all work before doing this though. Be careful here, as you DO NOT want to close essential processes that Windows uses to operate. This step is more for power users who have a pretty good understanding of Windows processes. Viruses and spyware can slow down a PC very quickly and can sometimes completely ruin a hard drive. Use Microsoft Security Essentials to check for malicious software and remove it. Additionally, it is recommended to always have a firewall active when browsing the Internet. Perform a disk defragmentation on each hard drive if deemed necessary by the analysis. Utilize these methods of free computer maintenance to speed up your computer for free. A PC tune up will eventually become necessary as time goes on, and to avoid high prices that companies charge for a PC tune up, remember the steps above.